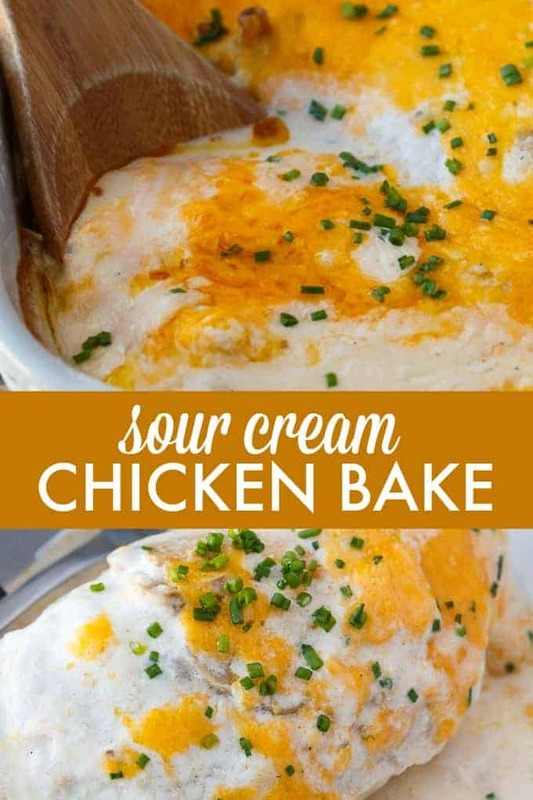 This Sour Cream Chicken Bake is creamy, cheesy comfort food. 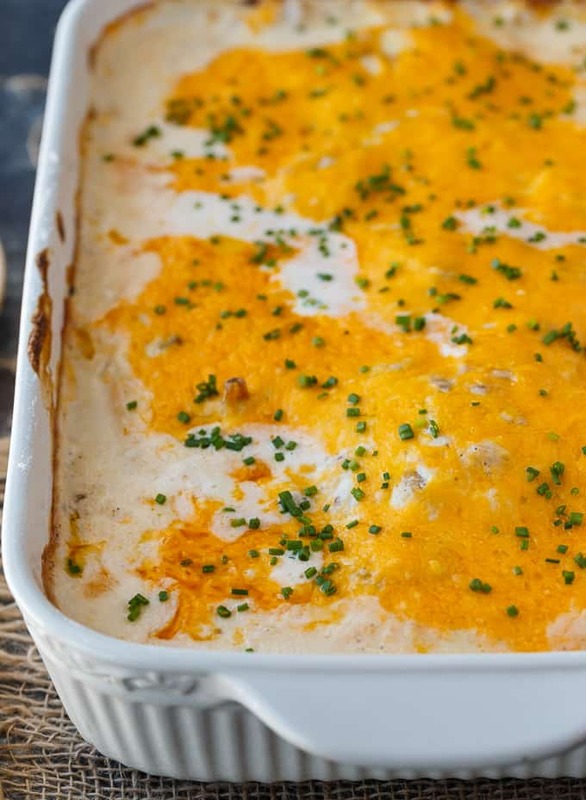 This easy chicken casserole is smothered in a rich sour cream sauce and loads of cheddar cheese. Make it for an easy weeknight meal to feed your family. I always have chicken breasts on hand because of their versatility and affordability. Plus, it’s one of the only protein sources that my picky daughter will eat. It’s like a blank canvas just waiting for me to create something delicious to eat. With the chilly weather upon us, I want comfort food. 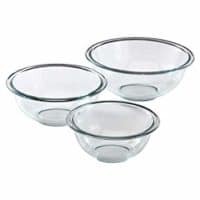 Casseroles and bakes are on the menu quite a bit during the colder months in my home. 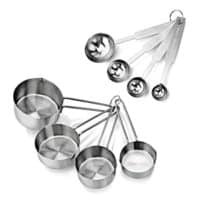 I like them because they are easy to make and hard to mess up. They aren’t pretty to look at, but they taste yummy. I think that’s the most important thing anyways. 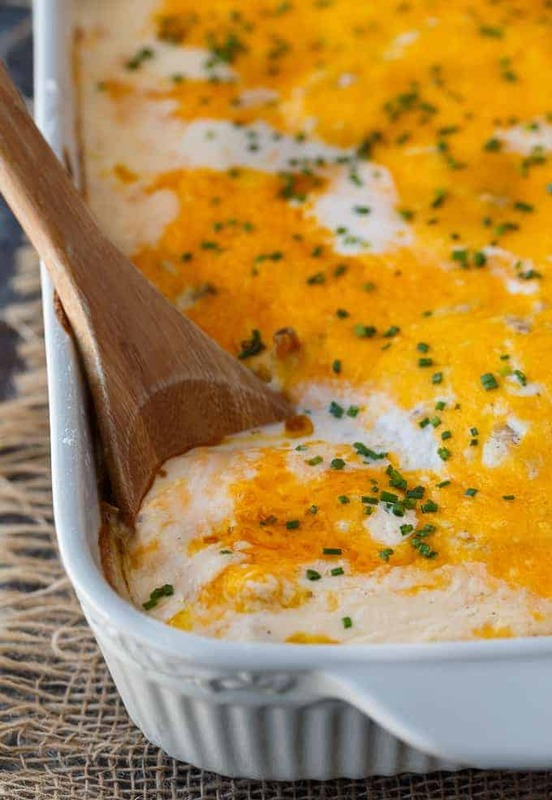 In this Sour Cream Chicken Bake, the chicken breasts are baked in a sour cream mushroom sauce. Serve it with some rice so you can sop up all that yummy sauce. If you want to make it lower carb, don’t dredge the chicken in the flour mixture. This recipe is easy to prepare, but does need some extra time to bake to perfection in the oven. Stir flour, paprika, salt and pepper together in a small bowl. 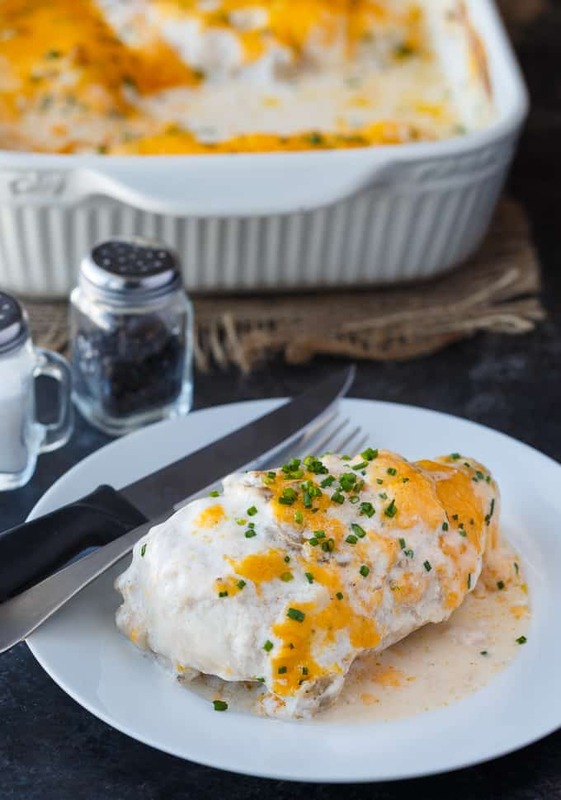 Roll the chicken breasts in the flour mixture and place in a 9×13 casserole dish. In another bowl, mix together sour cream, cream of mushroom soup and mushrooms. I used canned mushrooms, but you could also try fresh, if you prefer. Pour the sauce over the chicken in the casserole dish. Bake, uncovered, in a 350F oven for 1 hour 15 minutes. 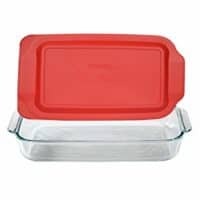 Remove the casserole dish from the oven and sprinkle on shredded cheddar cheese. Place back in the oven until the cheese melts for about 5 minutes. Top with fresh chopped chives for garnish, if you like. Serve hot. You might also enjoy these mouthwatering chicken casserole recipes. 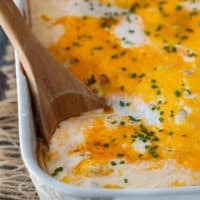 Low Carb Chicken Divan: You won’t even miss the carbs! This comforting casserole has a creamy sauce made with chicken, broccoli, cheddar cheese and cauliflower rice. Chicken Cordon Bleu Casserole: Filling and comforting without all the fuss of traditional Chicken Cordon Bleu. Chicken & Broccoli Casserole: A twist on my Mom’s classic recipe! Enjoy as a comfort food meal or a holiday side dish. 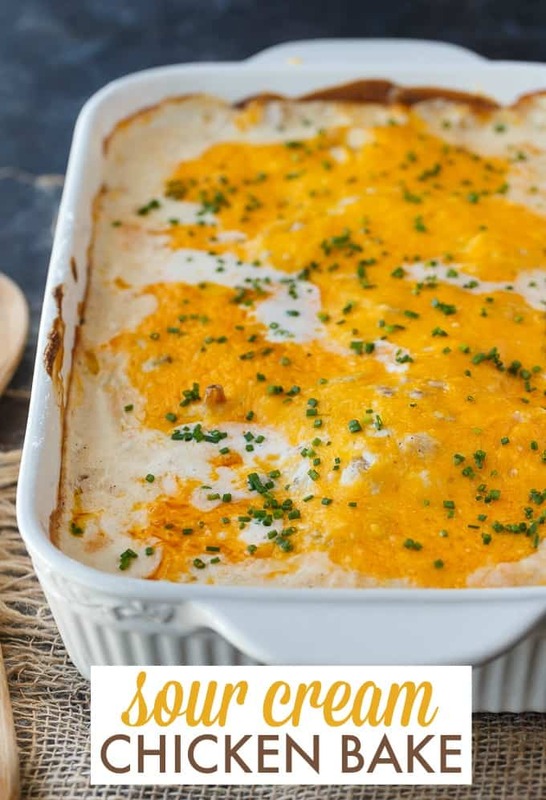 Chicken Shepherd’s Pie: Not your mama’s Shepherd Pie! This version is made with a creamy curry sauce that is out of this world. Topped with a heavenly layer of mashed potatoes and Parmesan cheese, this comfort food recipe will not last long. Mmm good. You might also like this No Peek Chicken or Russian Chicken. What is your favourite comfort food chicken casserole recipe? Creamy, cheesy comfort food. 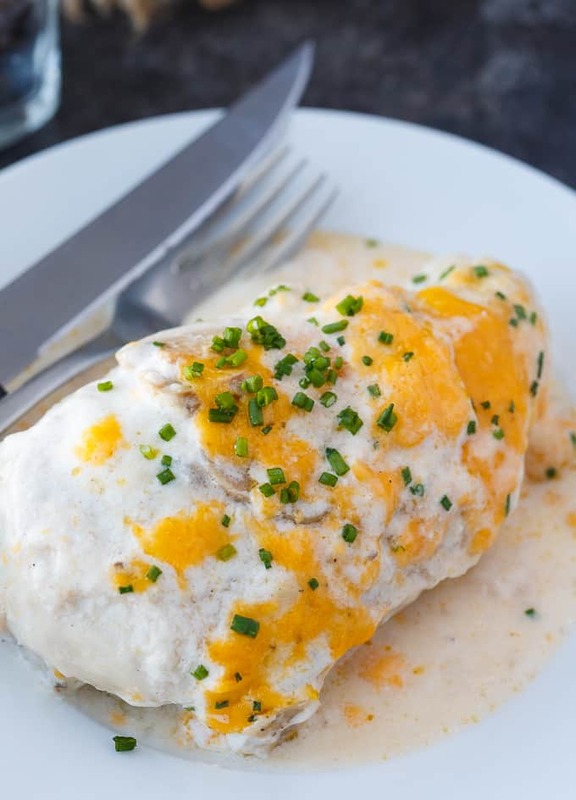 This easy chicken casserole is smothered in a rich sour cream sauce and loads of cheddar cheese. In a small bowl, stir together flour, paprika, salt and pepper. Roll the chicken breasts in the flour mixture and place in a 9x13 casserole dish. In another bowl, stir together sour cream, cream of mushroom soup and mushrooms. Pour over the chicken. Bake, uncovered, for 1 hour 15 minutes. Remove from oven and sprinkle on cheddar cheese. Place back in oven until the cheese melts, about 5 minutes. Add fresh chives on top for garnish, if desired. Perfect dish for colder days! Thanks for sharing!